We’ve noticed some trends during E3 this year – apocalyptic settings in games, a real push forward into always-online experiences, and talk of the end of this console generation and the prospective end of consoles altogether in the future. There's a revolution in the air. Following Ubisoft CEO Yves Guillemot’s recent posit that the next generation of consoles could be the last before we move to less hardware-centric cloud streaming, we’ve been looking for signs that this might be the case. Our interest was piqued, therefore, when Phil Spencer took to the stage for the Xbox E3 conference and talked about the idea of being able to stream console-quality games to any device. Was the company behind the most powerful console currently on the market really underplaying hardware? After the show we had the chance to sit down with Microsoft's Chief Marketing Officer for gaming, Mike Nichols, to find out what the future might look like for Xbox – and he told us that consoles will still be very much a part of it. 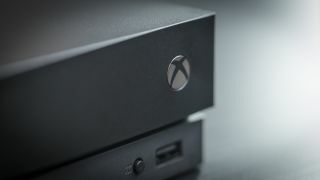 When it comes to cloud streaming and console hardware, Nichols said “I don’t think of these two notions as in competition with each other I think of them as very much complementary.” The idea of being able to play console-quality games anywhere, he explained, is focused on expanding the Xbox audience rather than dropping its consoles. “People in certain regions where maybe a console isn’t as appropriate, they don’t have a television at home, they don’t have space in their apartment to kind of set things up the way they want. Perhaps they don’t want to invest several hundred dollars in a console but they know that they need to talk to their friends so they have a phone. Reaching those new players is the other benefit potentially of cloud streaming. Although we can’t be entirely sure of what the distant future holds for gaming but it seems that for Microsoft consoles will be a part of it for a while yet.